"If you would be pungent, be brief; for it is with words as with sunbeams. 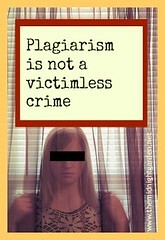 The more they are condensed, the deeper they burn." Bigelow's words are brief, and they burn. The tension, the fear, the sense of danger felt by the characters is palpable on each page. There were multiple times where I felt my heart racing, or caught myself holding my breath, trying to remain silent so that Micheal wouldn't be caught. Bigelow surprised me. For someone who loves to wallow in descriptions, I was amazed at how evocative I found her writing. 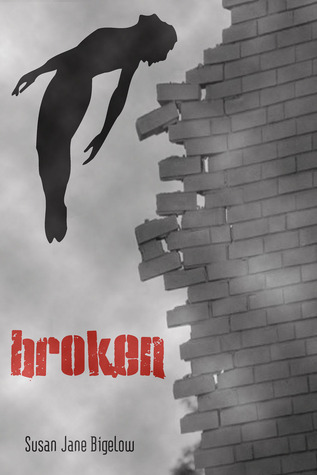 Broken is full of love stories: friendships, romances, families. It is full of conflicted emotions: characters doubting themselves, doubting others, struggling with what defines a hero or heroism, which sacrifices are worthwhile. These things are all in the story because they are part of all human stories; but they do not define it. I think that is one of the things I liked best about Broken; everyone was shown in all their glory and beauty and muck and mess. Each possible future laid out before the characters says as much about the characters themselves as it does their future. Michael can see only possible futures of choices they might actually make - and Bigelow uses this to show the readers so much more about the characters than we would otherwise know. Broken works really well as a stand alone, but the world Bigelow has created is interesting enough that I would read more books set there. Broken did have a few detraction's - I was a little sad to see that the villain was not given the same depth and breadth as all of Bigelow's other characters. Also, on a slightly-spoilery note, Michael reads much older than 14 or 18, the two possible ages given for him. If he is really 14, which I think he is, then (Spoiler) I wasn't completely comfortable with all of his relationship with Janeane. (End Spoiler) Broken is technically adult speculative fiction, but I think it would do well with an older YA audience, and see why it is occasionally being billed as such. Free copy provided by Candlemark & Gleam as part of the promotion of the sequel, Fly Into Fire.